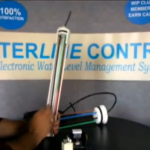 Waterline Controls stands apart from Madison float switches and level sensors in several key areas. Madison produces float switches, WaterLine Controls produces Engineered products and Electronic level control panels and some low volume float switches with multiple set points. We recommend using electric float switches in applications where they prove to be necessary. Read more to compare our key points and see what makes us unique. Never replace a level controller again!